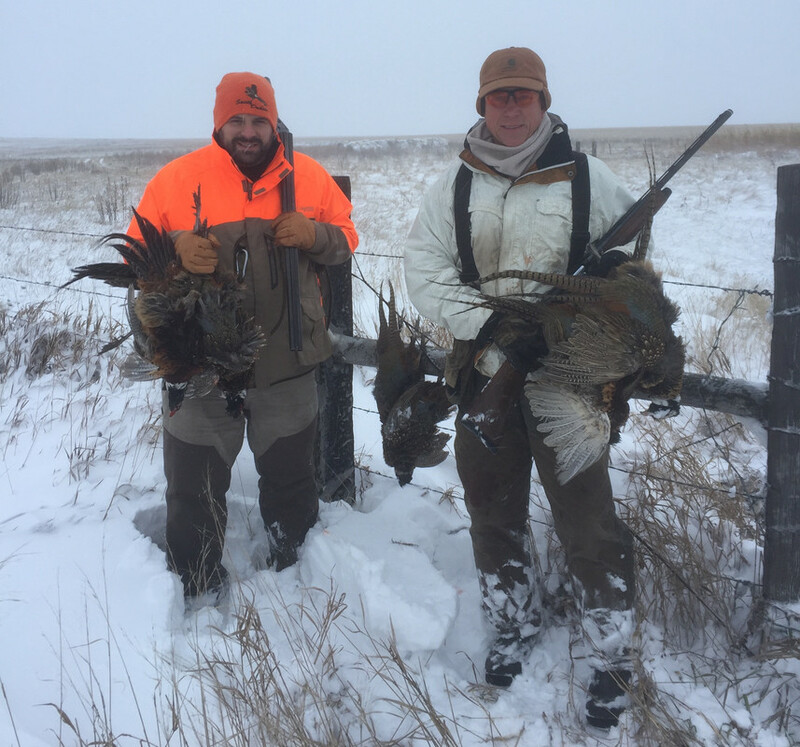 I know it's early butI have my slots figured out for the 2019 South Dakota pheasant season at my hunting house. Most of my dates have been filled already with hunters who were here 2015, 2016, 2017 and 2018. I get many repeat hunters who are now friends. Some of the hunters post here on UltimatePheasantHunting. 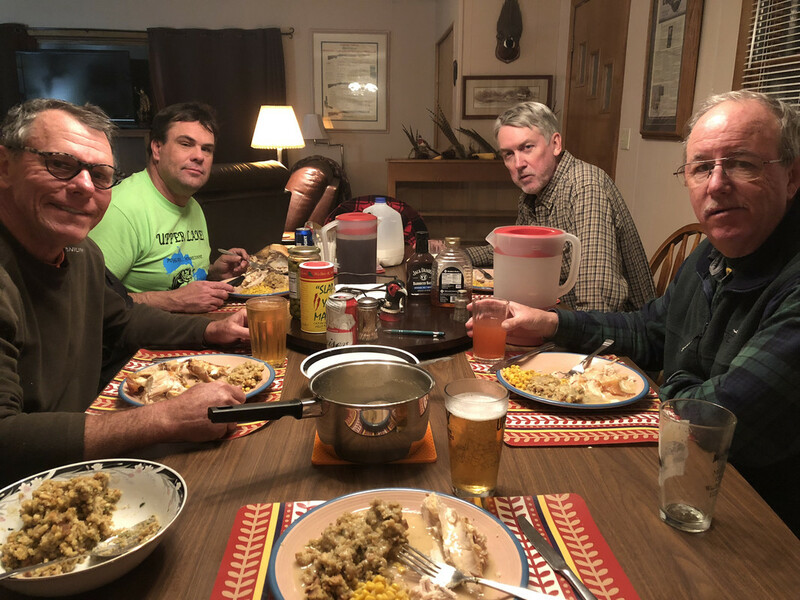 This is my fifth season running my pheasant hunting "Bed & Breakfast". It's worked out great as can be attested to by the many repeat guys who stay here. 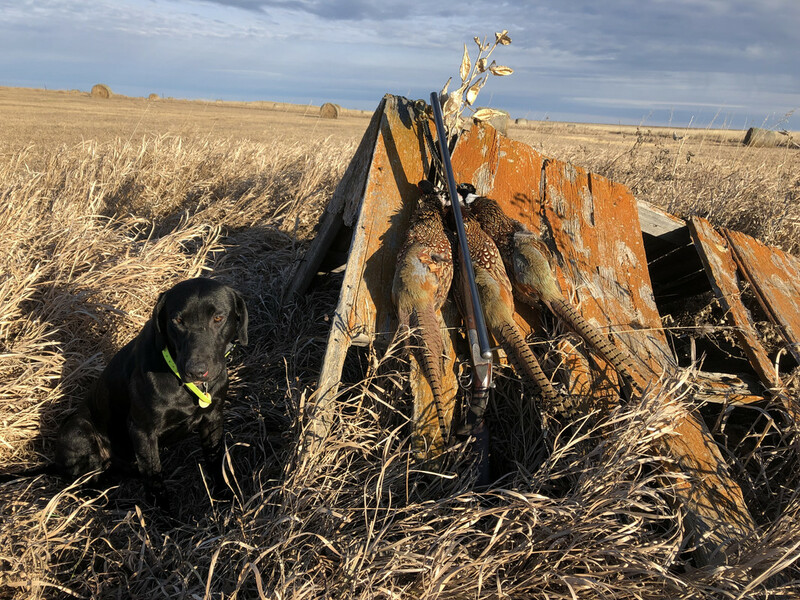 We had great hunting last season even though the reports from around SD were still below average. 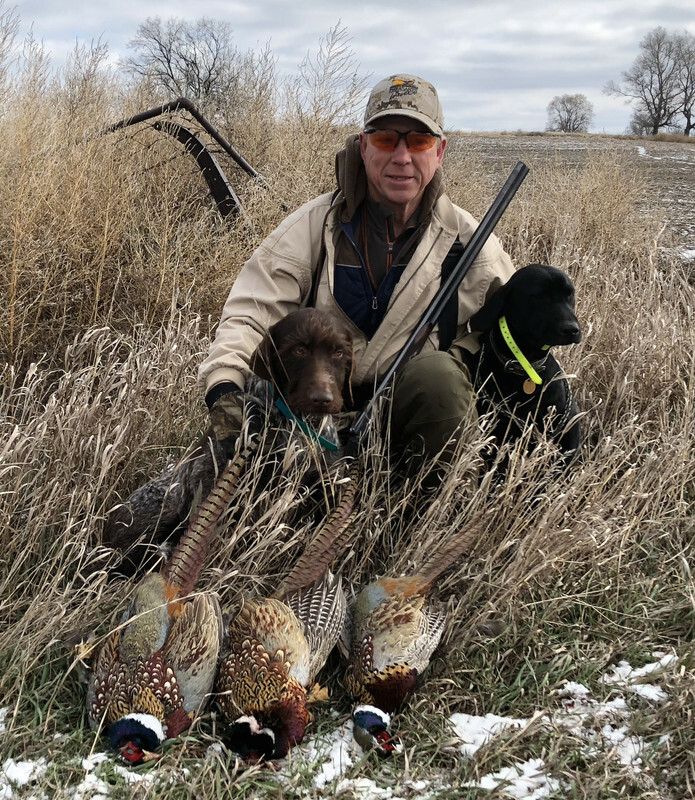 I think I saw double the pheasants from the 2017 season in 2018. 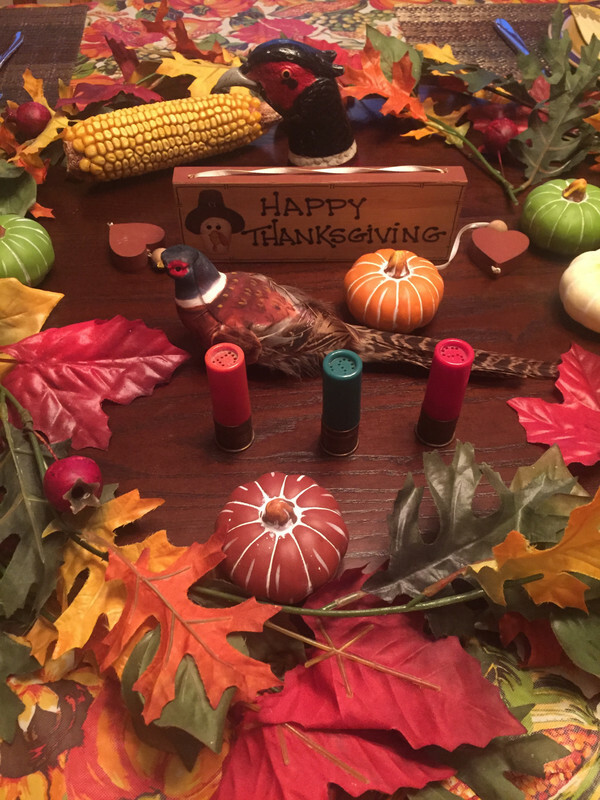 I personally averaged 3.00 roosters per day for the 28 days I hunted. I bought three 10 day licenses. This was mainly all on public lands. ***These prices are for the service specified. I do not have private land included in these prices. I am not a guide or outfitter. 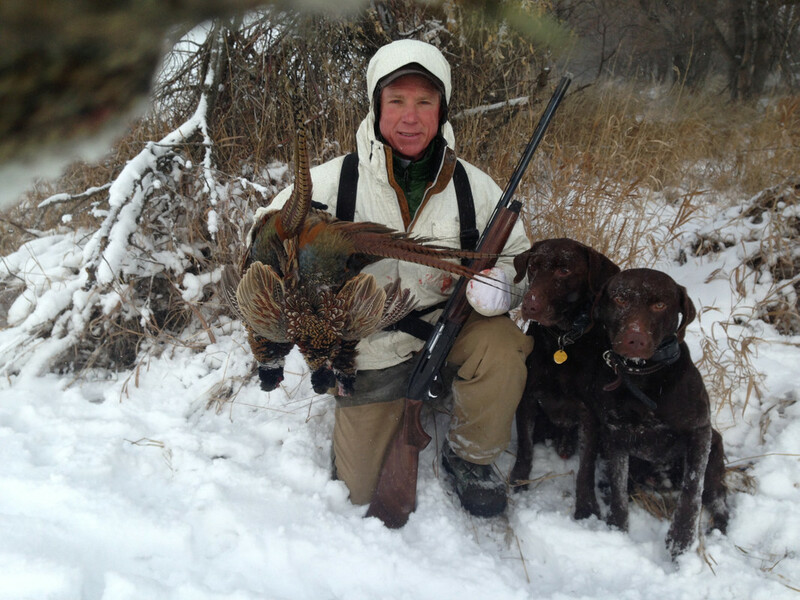 I love pheasant hunting in South Dakota with my dogs so this is not a job for me. I am willing to give suggestions of places to hunt for the guys at the house. I can get you in contact for private land hunting for $200/day/gun. The house has a deluxe dog barn, WiFi, cable TV, indoor bird cleaning area, bird freezer, FULL size beds, Game room, Leather recliners for everyone and clean bedding furnished. I have a lady who cleans the house and changes bedding between hunters. PM me if you are interested in wild rooster hunting for 2019. 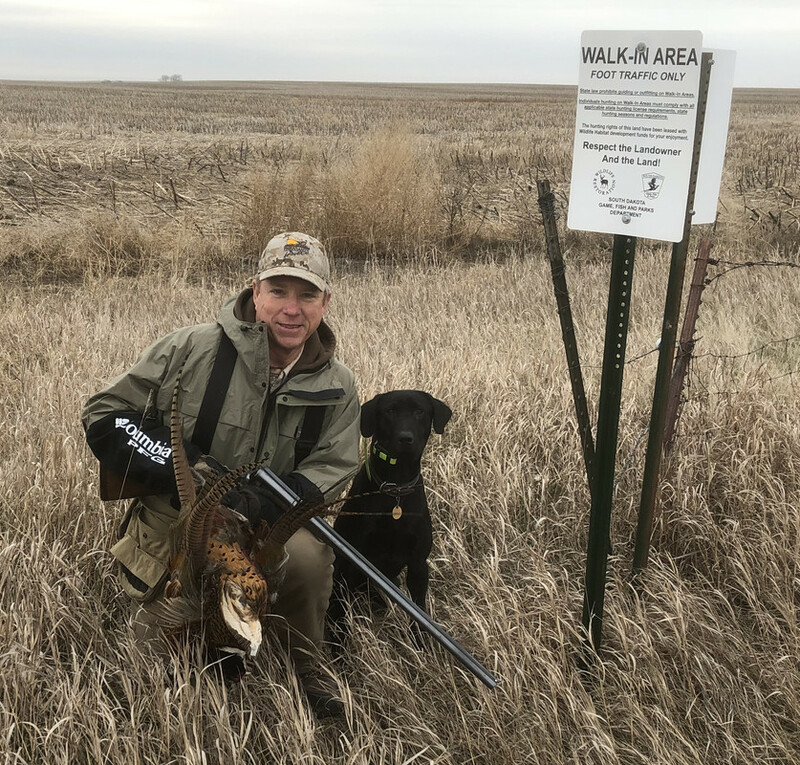 Here are hunting photos all taken in 2018 season. 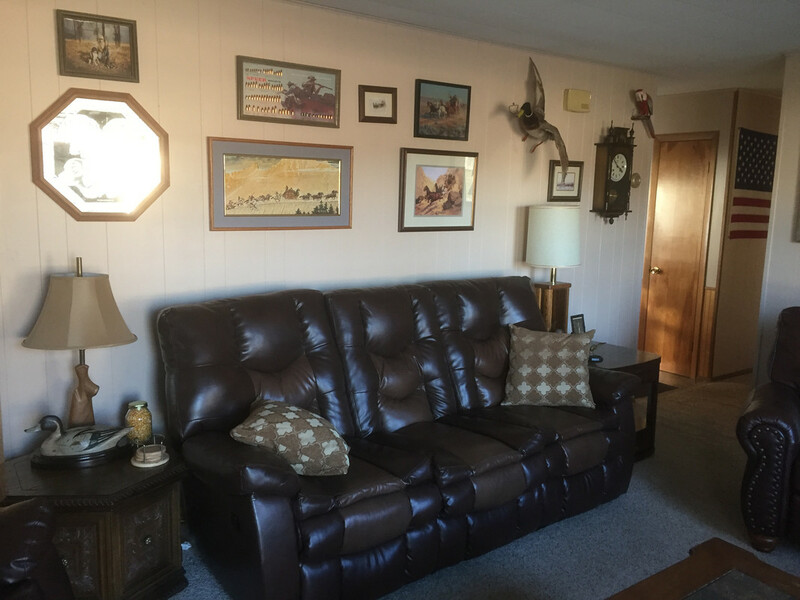 References gladly furnished from 2017 and 2018 hunters! Bring your dogs as I have a nice barn I built with indoor kennels having outside individual runs for each dog. Filled a few today. Updated availability. I have December wide open right now. 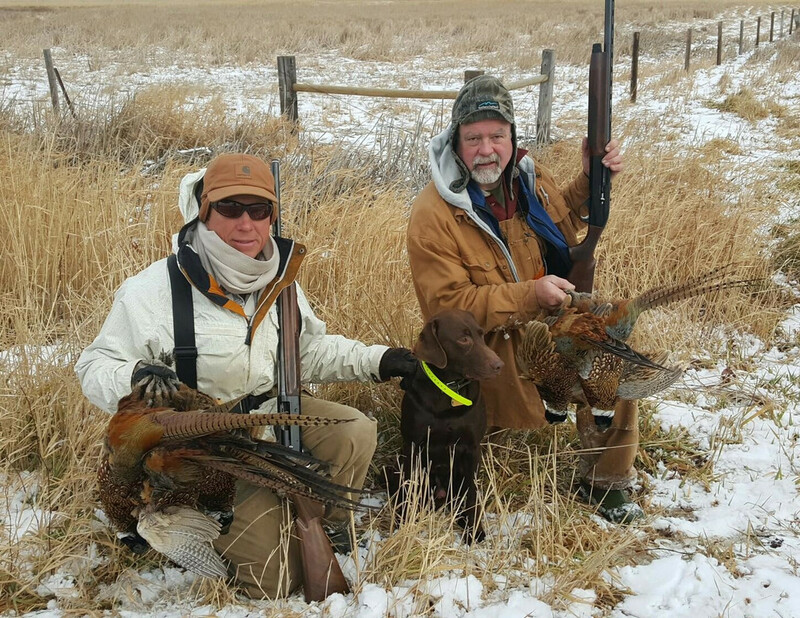 December is FANTASTIC pheasant hunting. The weather can be unpredictable as it can be flannel shirt weather or quite snowy. The birds bunch up in cover after feeding in the morning so flushes are often crazy. They hold tighter and don't run nearly as much as early season. 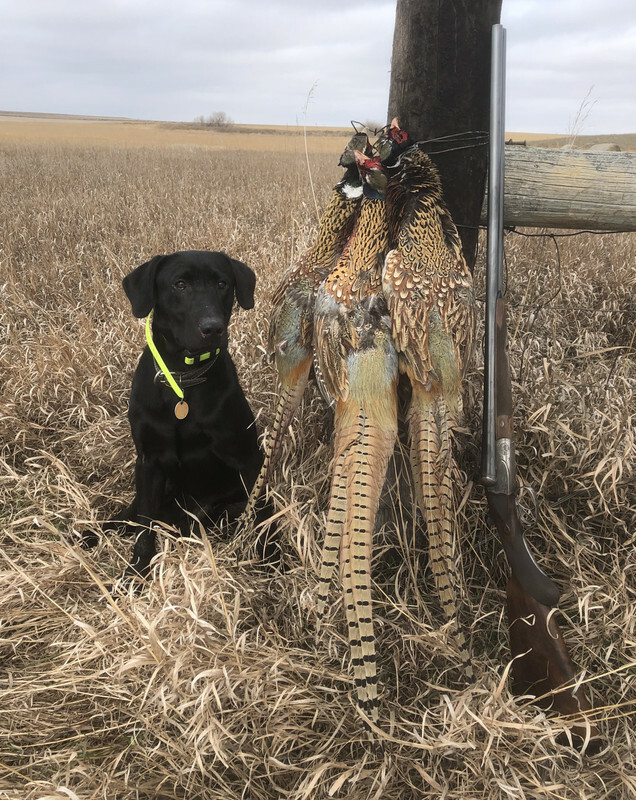 I love late season pheasants...so do dogs! Contact me if you have an interest. THANKS! Bobby: I assume the rate for all of December is for lodging only - $450 - 5 nites? What the hell Bobby you carry an auto loader in december? Dang...hoped nobody would notice. It's my rain and snow gun. Haha! Update: December 3-7 is now filled More good December dates are available. 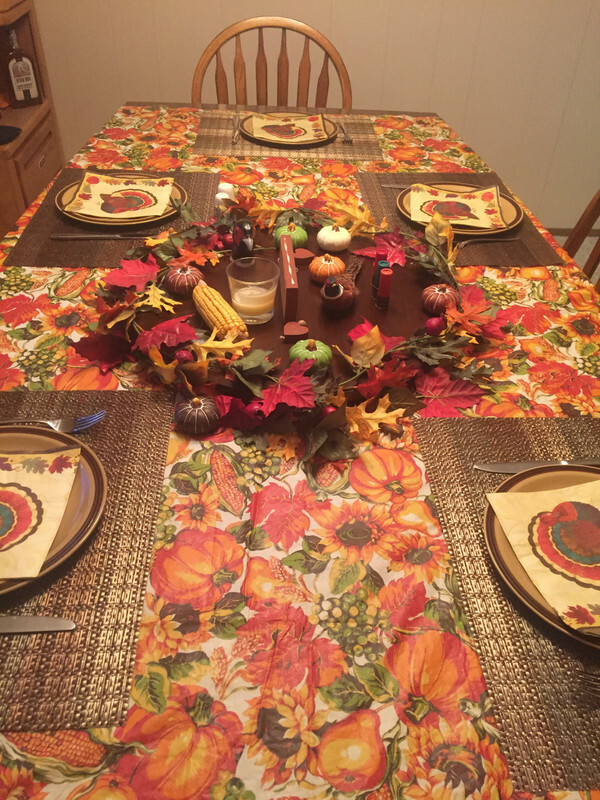 You could also make a Thanksgiving hunt with family and friends as I did with mine a couple seasons ago. Makes for a nice vacation. 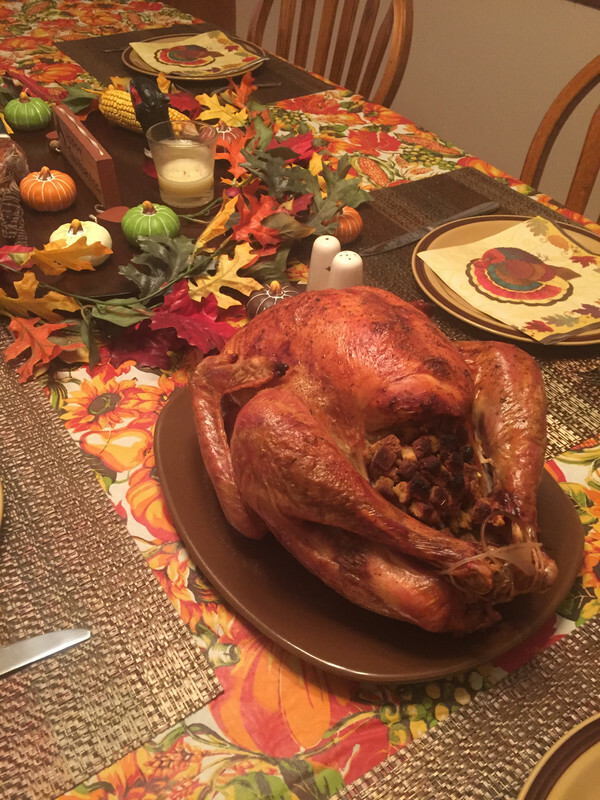 My wife went all out.